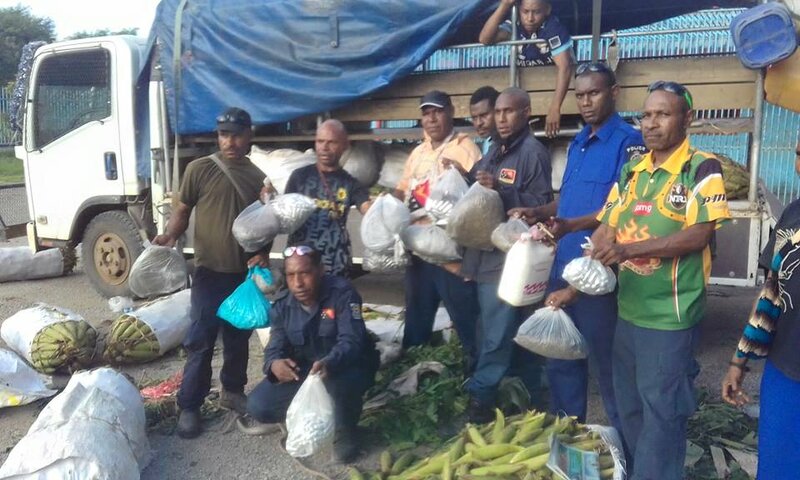 Police officers at Gordons Police station in Port Moresby have caught 28 suspects involved in smuggling drug from Beimauri in Kairuku-Hiri district into the city this morning. The PMV they travelled in was searched at 8mile roundabout opposite Malolo Estate during a roadblock and the suspects were apprehended when marijuana were discovered. Probation Constable Sevillan Saluwali says he went up the vehicle to search an individual who was acting suspiciously when he discovered marijuana plastics stashed into corn and greens bags bound to be sold at Gordon’s Market. The total of 28 suspects including the vehicle driver and three women were all searched and caught for being in possession of marijuana. The off-sider escaped when realising that police officers stopped them to search the vehicle. A total of 24 plastics of marijuana were confiscated during the search. All suspects are now detained at Gordon's Police Station waiting to be formally charged. It is one of the major drug busts in the National Capital District during this festive season.